5* /all your Awesome Beautiful pots !! Have a great day and weekend !! 5* x 23 last beauties. Happy day, Chadi !!!! 5 stars for all 34 wonderful pots! 5***** for all your lovely pots !! GOOD LUCK DEAR CHADI !! THANK YOU so much for your kind support !! Wish you a very happy week with your loved ones !! hELLO! NICE MEETING U! BEST GALLERY IVE SEEN TODAY! EPICCCC! U ARE AN ARTIST! 5***** to ALLL 31 POTS! I WOULD BE HONORED IF U GAVE ME UR OPINION ON MY POTS AS WELL! 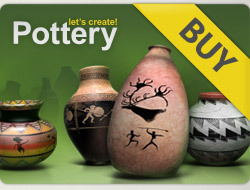 Hi Chadi, 12x5***** for your recent page of lovely pots. Pop into my gallery and rate mine if v you have time? ! I appreciate all comments. Beautiful creations Chadi. Five deserved stars for your 11 pots. Welcome to Lcp !!!! !